Barbara quickly made a break to Colorado. In "true Norwegian" fashion, she had a backup plan for her singing career and simultaneously received a degree in Music Education. In addition to singing in bands and musical theater, she taught music to children on and off. But the lure of showbiz was too great and she landed in California. Her first LA audition sealed her fate when she was chosen from the masses at a cattle-call to be in a cabaret group. That was "the sign" Barbara needed to stay in LA. She began singing professionally, developed serious studio chops, won some awards and met many influential people. 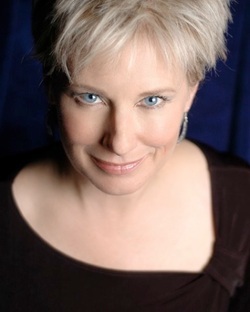 In addition to performing "one woman" cabaret shows, she fell back on her choral foundation and had long runs with "The Goils" (an Andrews Sisters style group) and Terra Nova (an acappella vocal jazz group) which won the Hennessey National Jazz Search beating out a multitude of instrumental jazz bands. Barbara was then recruited to work on The Mickey Mouse Club television show as one of the music producers who auditioned and worked with the Mouseketeers. Little did she know her new proteges would be Tony Lucca, Britney Spears, Christina Aquilera, Justin Timberlake, Ryan Gosling, and Kerri Russell. She went on to work for Disney and other major network shows in a variety of production jobs and also as a music director and vocalist. During this time, she also wrote and directed musicals for students at a children's theater company in Pacific Palisades. Along the way, Barbara had also become an accomplished voice-over artist recording numerous children's educational audiobooks that are sold all over the world. After moving to Santa Fe, NM, Barbara once again found herself working with students. She started a vocal music program at the National Dance Institute and at the apex she was working with up to 450 children a week teaching them how to sing. 2012 was a milestone year - Barbara released her debut and Award Winning CD entitled "Green". This eclectic collection of songs takes her back to her roots . . . and her formative connection to nature and animals. Barbara is demonstrating her commitment to Planet Earth by donating 100% of the revenue to environmental organizations.